Hello to my lovely readers!! Which season do you like the most? 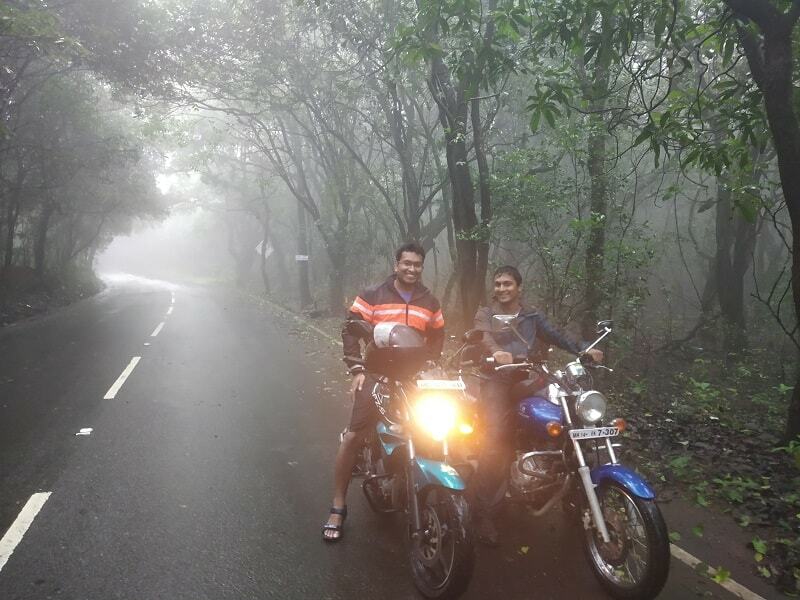 Personally, the monsoon season is my favorite as I love bike riding amidst the foggy weather and the lush green surroundings. 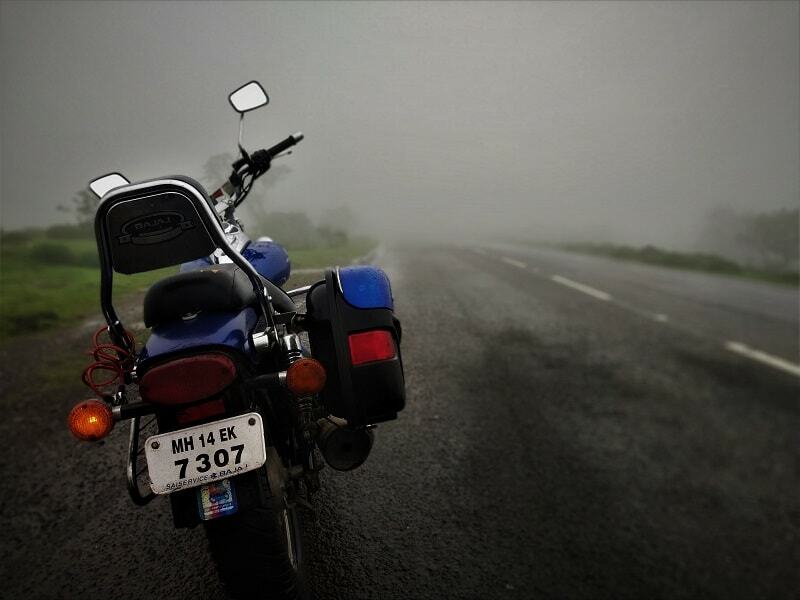 Monsoon is in full steam and it’s a great time to explore the nearby regions. 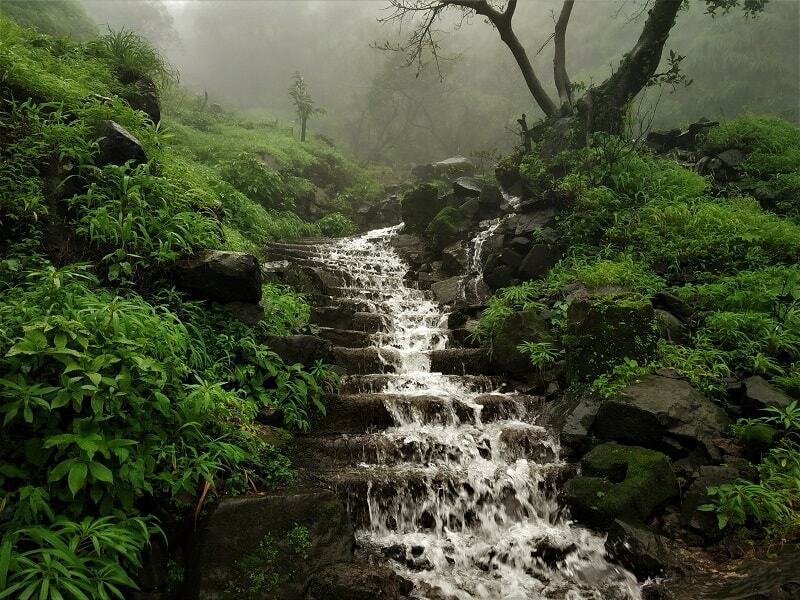 Are you looking for a one-day easy trek near Pune or Mumbai which will bless you with such lush green surroundings? 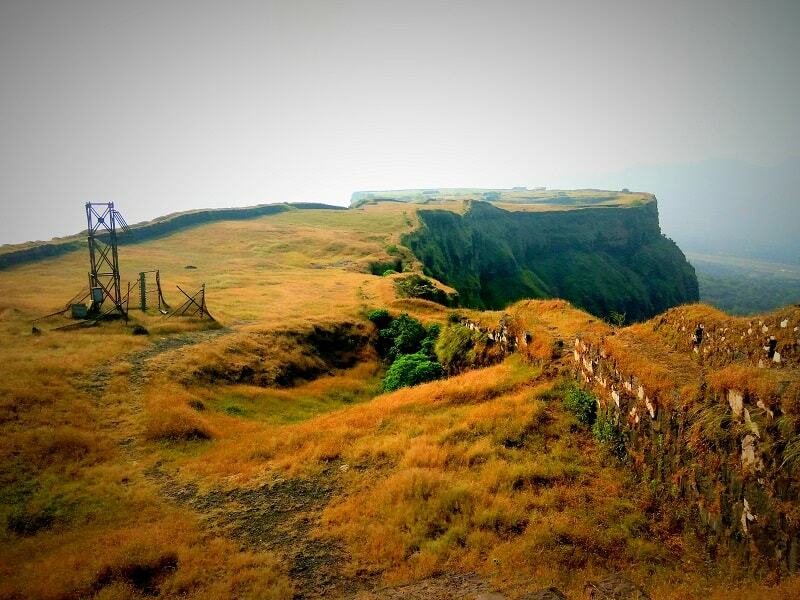 If yes, Korigad Fort Trek is waiting for you!!! 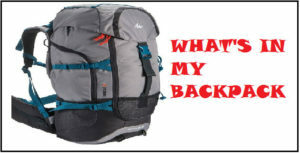 Hey Abhi, am I fit enough to do this trek? How would you rate the trek in terms of difficulty? From last year and a half, I have been regularly answering these sorts of questions. I agree that the treks can be categorized in terms of difficulty level, but is fitness the actual barrier for someone to not complete the trek? I believe it’s more about mental toughness to complete it rather than the physical fitness. 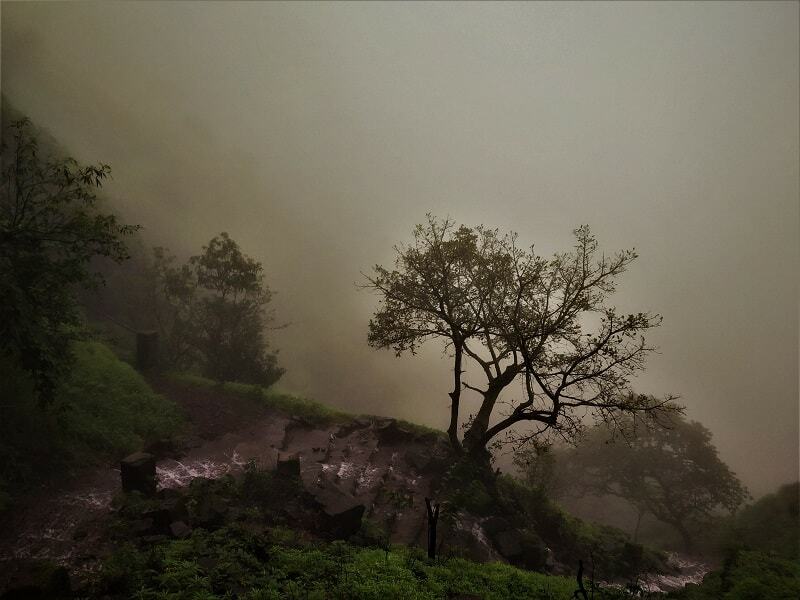 Anyways, Korigad Fort trek is a very easy trek located near to touristy town Lonavala. 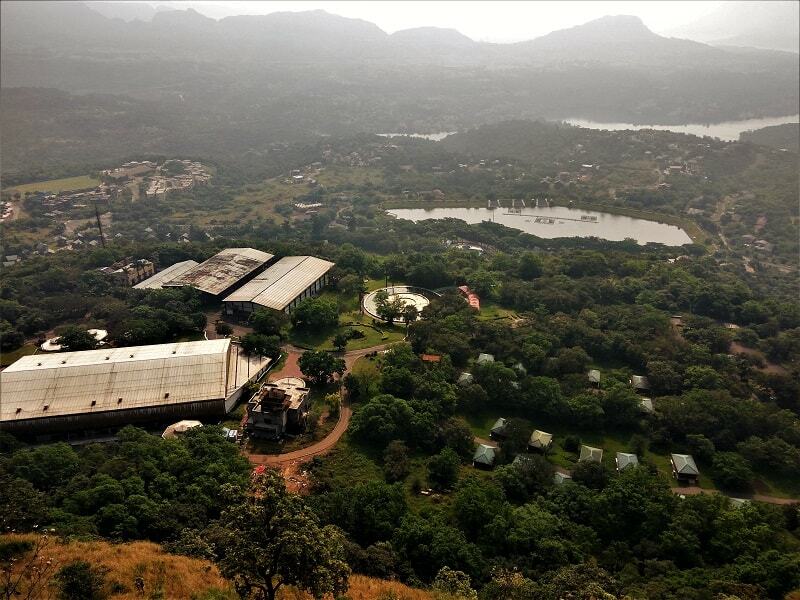 Standing at an elevation of around 920 meters from sea level, Korigad fort top gives some stunning view of the Aamby Valley city along with the Tung and Tikona fort. What’s more exciting about this trek is the route which takes you to the base village of the fort. The entire route is lush green passing through dense jungles and many waterfalls falling in the vicinity. 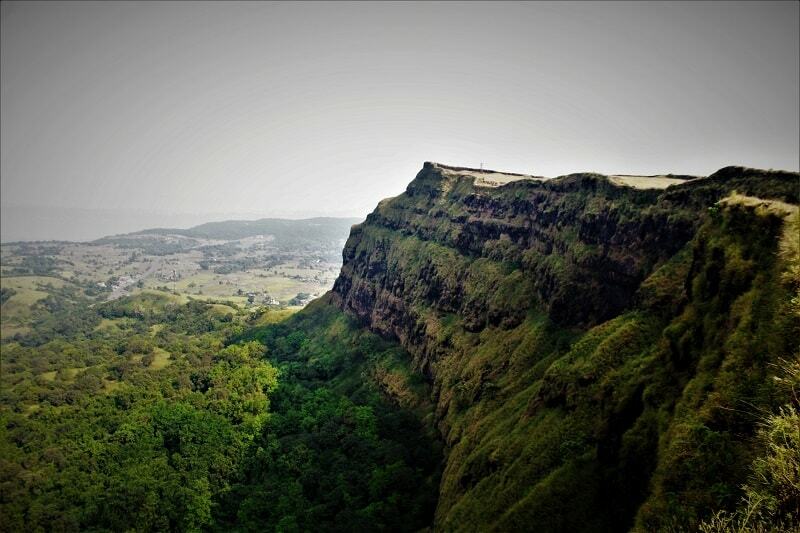 Korigad Fort lays 20 kms south-east of Lonavala. Lonavala is well connected to other parts of the country via railways. On reaching Lonavala, you can inquire for a bus that goes to Aamby valley/Peth Shahapur (base village of Korigad fort trek). The frequency of the buses is quite low, so plan accordingly. Get down at Peth Shahapur bus stand, the Korigad fort trek starts from here. 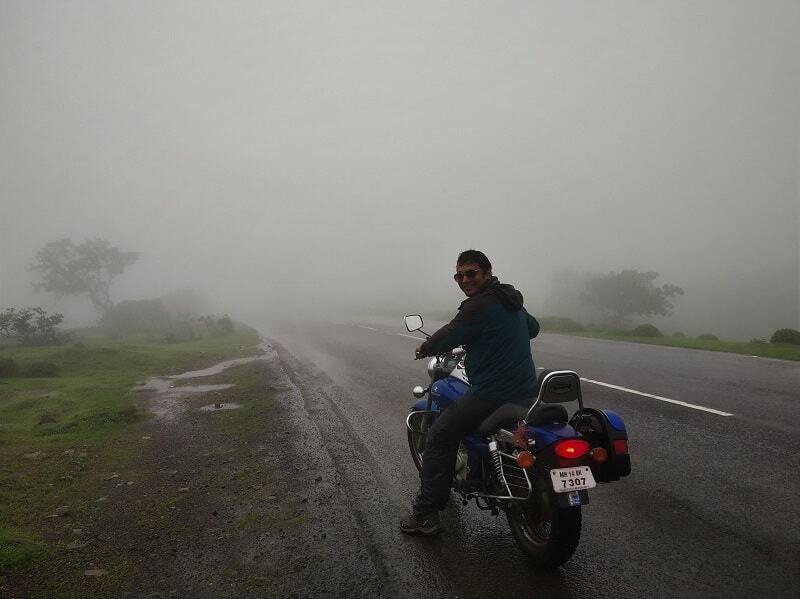 I would suggest you to rent a bike from Pune/Mumbai/Lonavala to reach the base village as the road journey amidst nature will leave you spellbound. Note: If you are referring to Gmaps to reach Korigad Fort, don’t type in Korigad Fort as it shows you the route from inside the Aamby valley where you won’t be permitted to go. Just put in Peth Shahapur on Gmaps to get to the exact location from where Korigad fort trek begins. 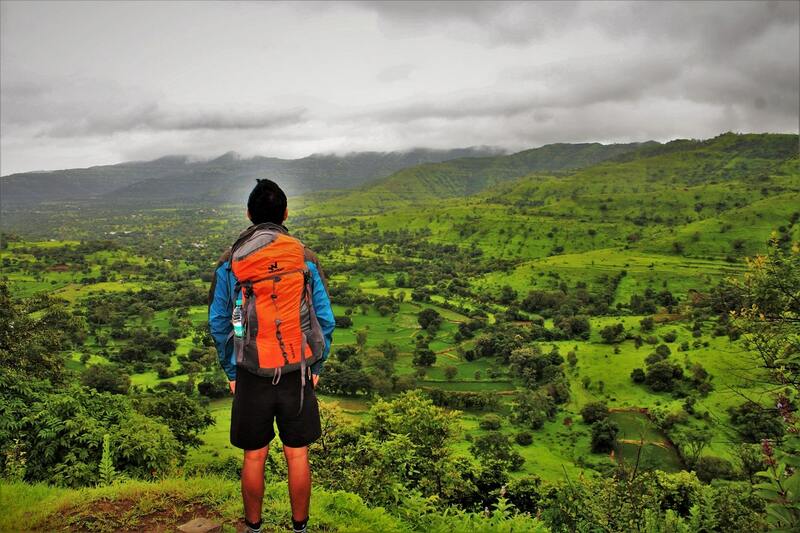 I would rate Korigad Fort Trek as an easy level trek; it’s a perfect trek for the beginners. It is perfectly suitable for all age groups; you can take kids and elder ones in your family as well. There are mainly two trekking routes to reach the top; one from Peth Shahapur and the other from Ambavane village. The route from Peth Shahapur is easy and the most preferred one. It was my second visit to the Korigad Fort; previously I visited the fort a year back in the month of October. 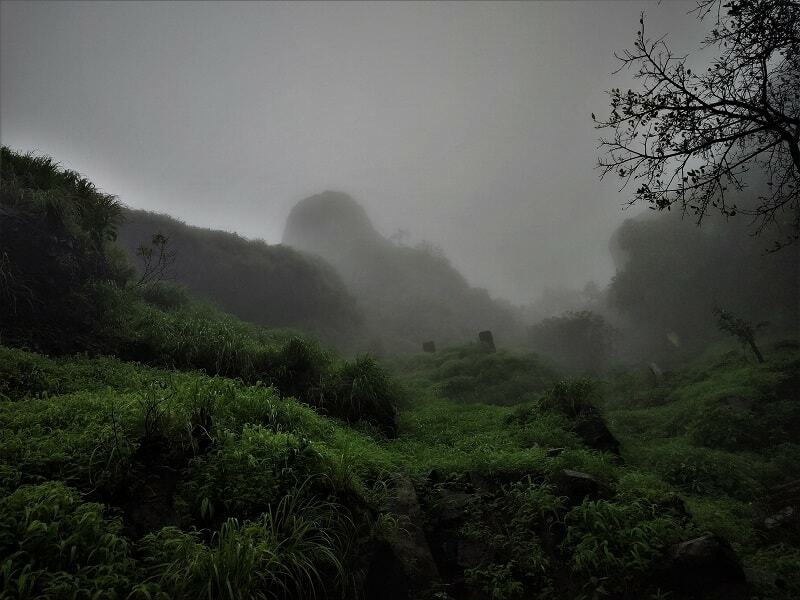 Looking at the route to reach the fort, I knew I was definitely coming back in the next monsoon; to experience the foggy climate and lush green surrounding which was missing in October. Owing to heavy rains from the last couple of weeks in Pune, I thought there couldn’t be a more perfect time to have a visit to the Korigad Fort. I along with my friend started from Pune around 10 AM. 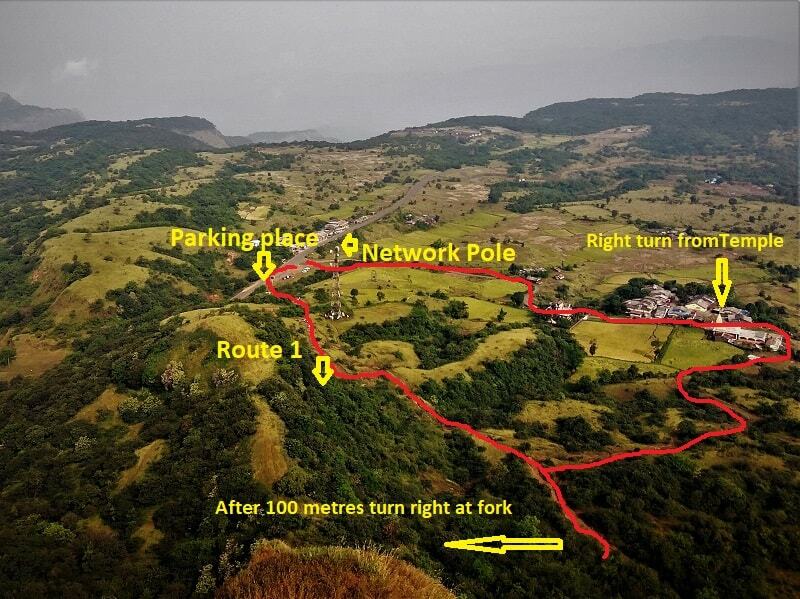 There are basically three routes to reach the base village of Korigad fort from Pune. We decided to take the Hadashi route and return by Valane route as both of these routes passes through various villages. I always prefer the village route over the highways as they are generally more exciting and full of surprises. Our decision to take the village route was justified as we were blessed with lush green valleys, breathtaking landscapes, numerous waterfalls and beautiful lakes throughout the route. 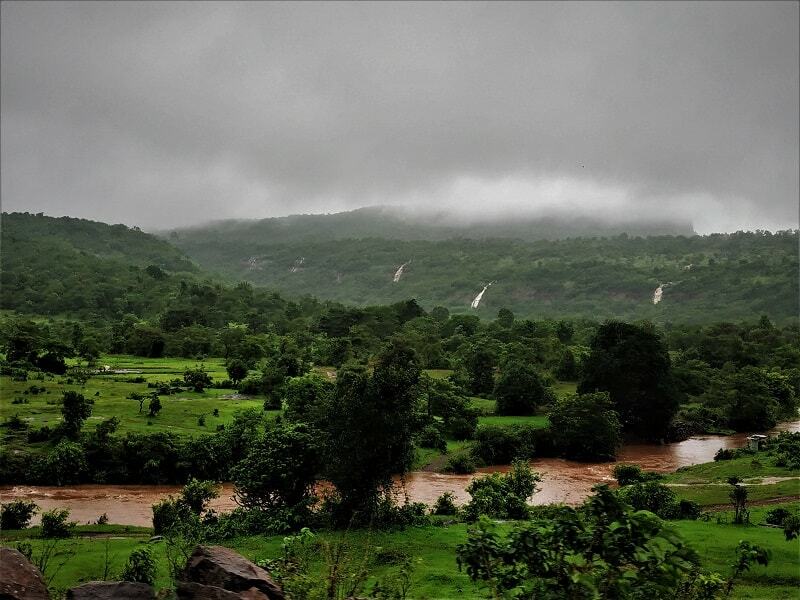 It generally takes around 1.5 hours to reach the base village from Pune but owing to the dozens of pit stops we took along the breathtaking route, we made it to the Peth Shahapur (base village) in around 3 hours. Parking is provided just near to the bus stop; we were shocked to know the bike and car parking charges being INR 50 and INR 100 respectively. We decided to park our bikes in a temple nearby (not sure if it’s actually allowed). The fort was completely covered under the clouds. There are basically two start points; one starts along the huge network tower and the second from the tar road on the left side, passing through the village and taking a right from the temple over there. Anyway, both these route meets at a common point. From this point continue walking for around 10 minutes and you will reach a point where the trail divides into two. Take the right trail and you will need to walk through a jungle. 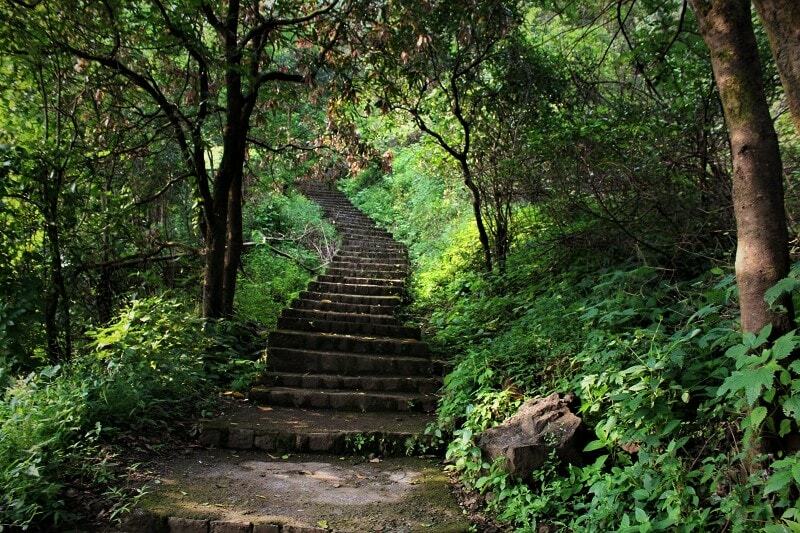 After a few minutes, you will reach the footsteps (around 300 stairs) of Korigad fort. It generally takes around 30-45 minutes to reach the top from the base village. Also, there are many shelters all along the trail, which helps to catch your breath. If you are doing the trek in monsoon, just be extra cautious as the route becomes a little slippery. 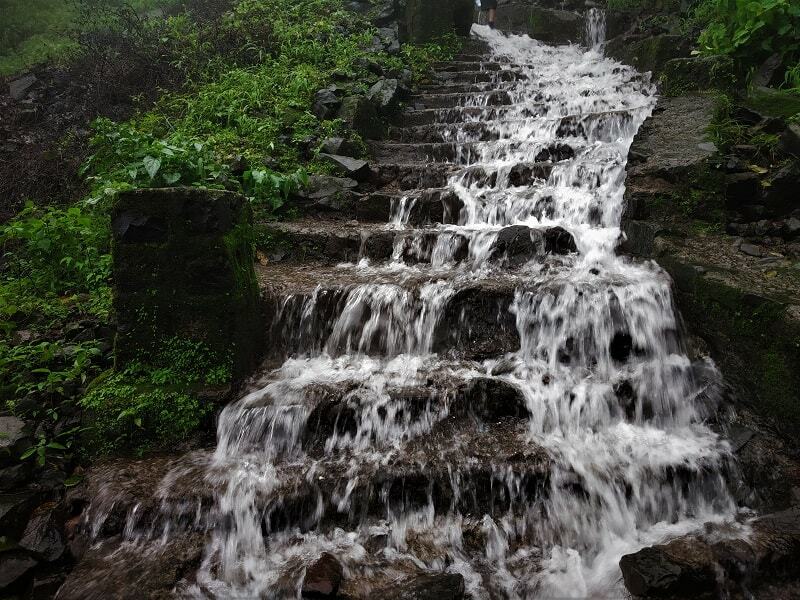 In monsoons, generally there is water pouring from the stairs which adds joy to the trek. At the top it was very foggy, visibility was very low and heavy winds were blowing. We enjoyed having Maggi and Tea in such chilly and foggy conditions. I had already covered the perimeter of the fort on my previous visit, so opted not to do so. We started to descend around 5:30 pm and were at the base by 6:00 pm. 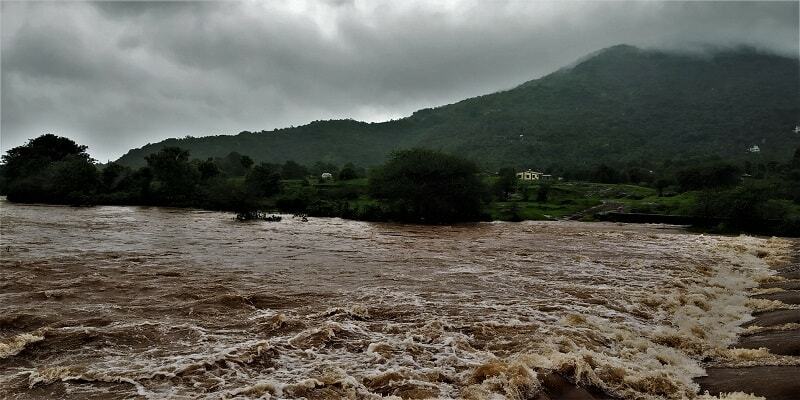 Owing to heavy rains and dark surroundings, we canceled our plan to take the village route to reach back Pune and decided to take the Lonavala route. Note: The route from Korigad to Lonavala passes through the tourist spots like Lion’s point, Bhushi Dam, Shivling Point, Shivsagar Lake, Lonavala Lake, and Waterfall. You can take pit stops at all this point to add delight to the journey. 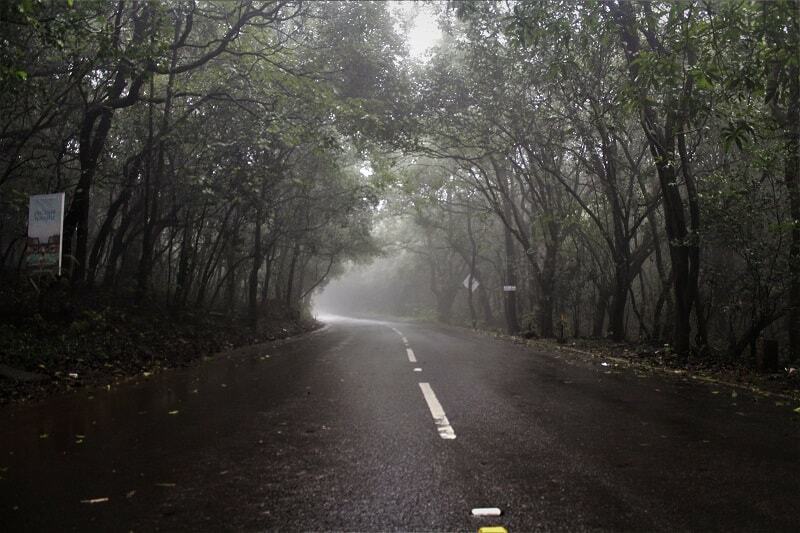 But remember to start early as traffic conditions are very bad in Lonavala especially in monsoon season. 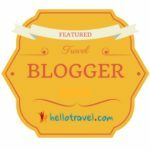 Apart from the breathtaking view of Aamby Valley and the surrounding region, there are a few other spots which are worth a visit. A temple to its patron goddess Koraidevi which has been renovated recently. 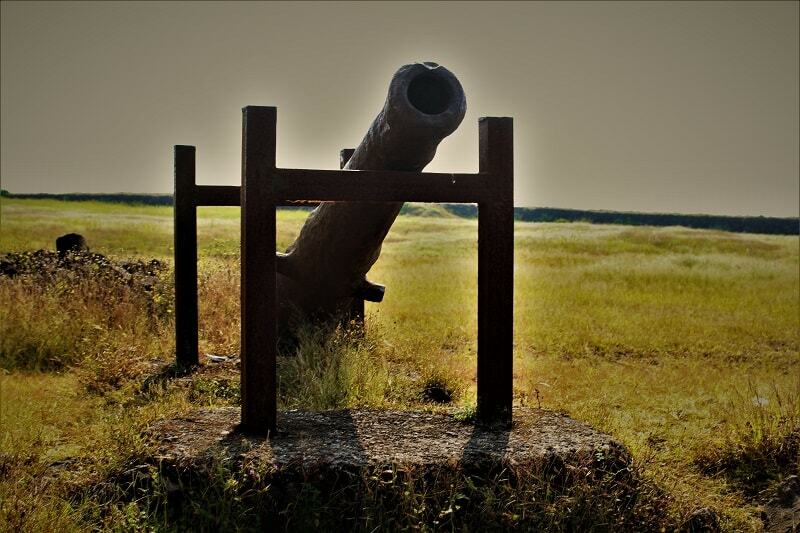 The fort has 6 six cannons among which the largest one is called Laxmi Toph and is located near the Koraidevi temple. There are two lakes on the top of the fort. One can enjoy walking along the entire perimeter of the fort (about 2 kms). 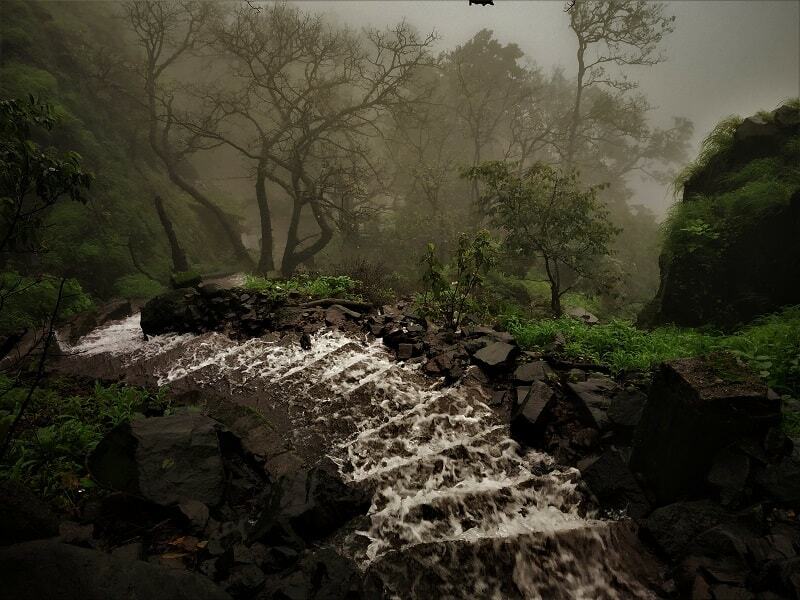 In monsoon, you can enjoy the view of the waterfall falling from this fort. In the monsoon, a few villagers set up their tents at the top and provide basic food like Poha, Vada Pav, Maggi, and Tea. At the base also there are a few small Dhabas which provide local food. One can set up a tent anywhere on the top, but remember the winds are pretty strong in the monsoon season. If you do not have tents, you can take shelter at Koraidevi temple which can accommodate at least 20 people. The Korigad fort trek can be done at any time of the year. 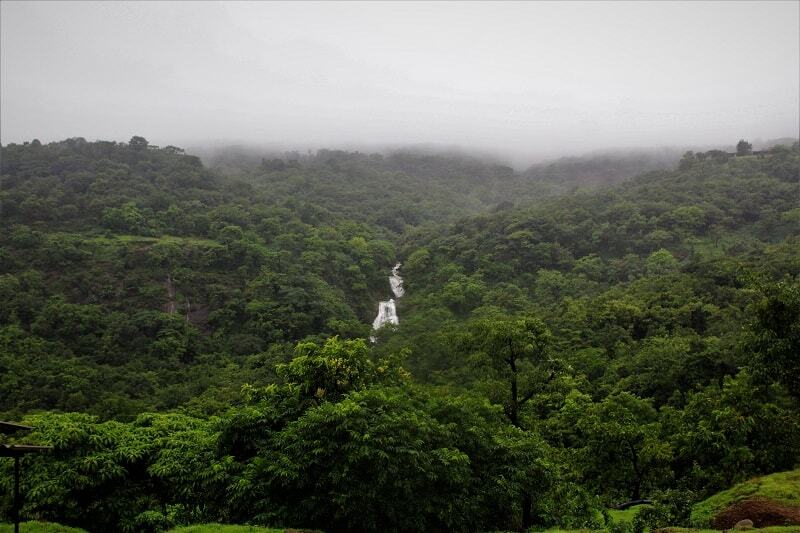 Personally, I would recommend you to do this trek in the monsoon season, as the entire region is lush green and experiencing the foggy weather at the top is a moment to remember. In summer season it becomes excessively hot at the top, so try to do the trek early morning. So what are you waiting for? 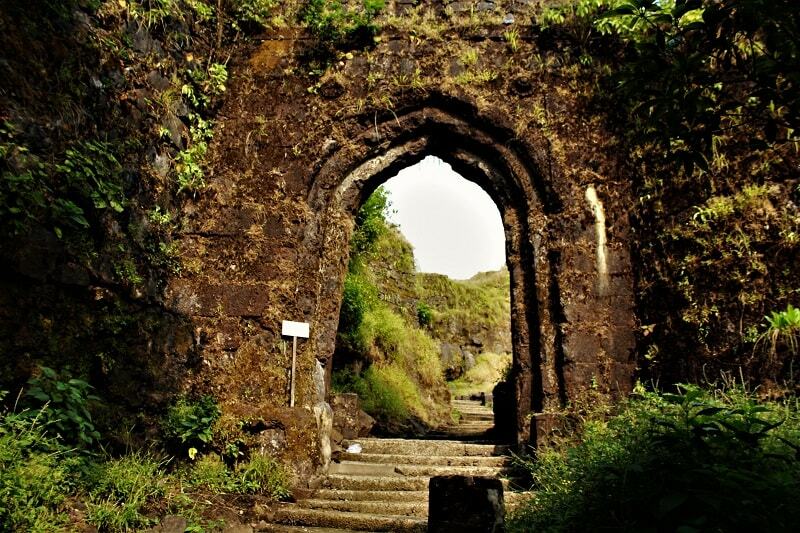 Pick up your bike and drive to the beautiful Korigad fort. I assure you that you will remember this road journey for your entire life!!! 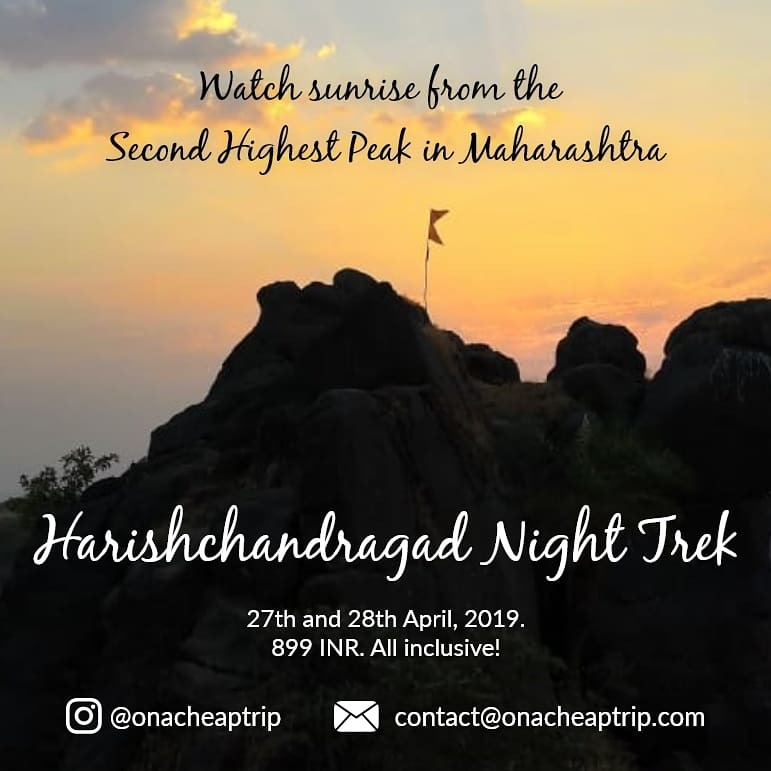 onacheaptrip is an amazing blog with precise information about the road to the base village , route and the trek .. What i liked the best is that this site enables a common man to explore our Sahyadri ranges with minimum expenditure like a true trekker. It indeed is! !Yes you should visit this fort! !